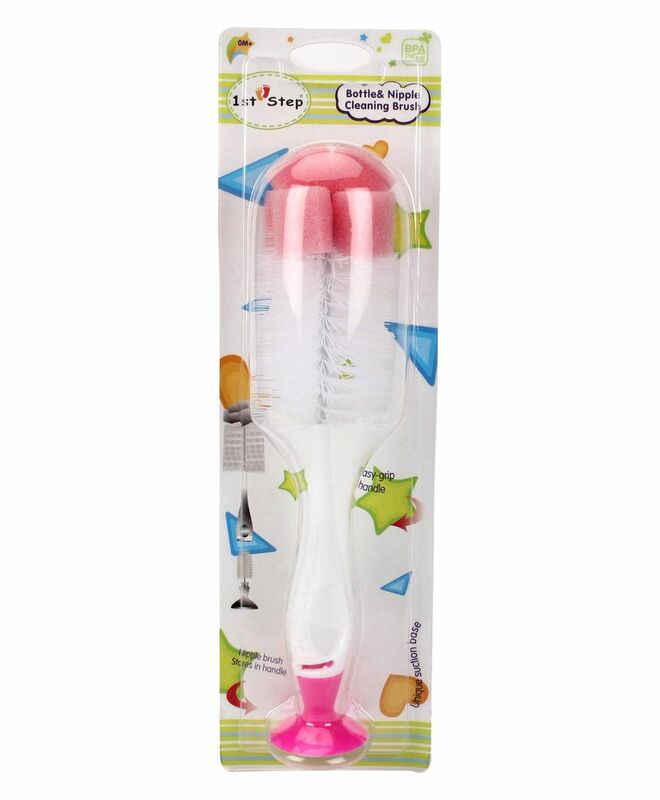 1st Step bottle brush is ideal for cleaning hard to reach places in your baby's bottle. The sturdy bristles have been designed for cleaning inside area, such as the difficult curves and bends. Plastic handle makes the brush easy to use and store. 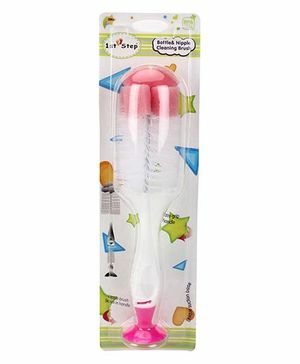 The suction makes the brush stand vertically for convenient single hand use. Easy access to hard to reach corners. Plastic handle makes the brush easy to use and store. Keeps bottle new and shiny. The product broke after just 3-4 days of use. Not of very good quality.